If you have the resources, you can find solace from the hassles of a commercial flight by opting for jet charters. In chartered flights, you will have the entire plane to yourself, which is a refreshing change from sitting in the cramped space allotted to you in commercial flights. However, chartered jets aren’t quite pocket friendly, renting the entire airplane will cost you between $1200 and $8,500 per flight hour. Jet charter prices depend on several factors, and a slight change in either of these factors can affect the price of the chartered jet. In fact, the major factor that determines jet charter prices is the type of aircraft you choose to travel in. Naturally, larger airplanes cost more, but this doesn’t mean that you can have more people traveling in a smaller aircraft to avoid the cost of a bigger chartered jet. The airlines might have restrictions on the number of passengers and the amount of luggage allowed in the particular airplane. Jet charter prices vary according to the distance traveled. If you are traveling to a far-away place, the jet charter prices might be higher than traveling to a closer destination. The private jet charter company will consider your itinerary and the estimated flight time. Jet chartered prices are affected by the changes in fuel prices. Fuel costs fluctuate frequently, and this can dramatically alter jet charter prices. Besides, if you choose a larger airplane, it will inevitably require more fuel than its smaller counterpart. So, the fuel consumption of the airplane and its cost determine the jet charter prices. The quote that you receive for the chartered jet consists is the “all-in” quote. 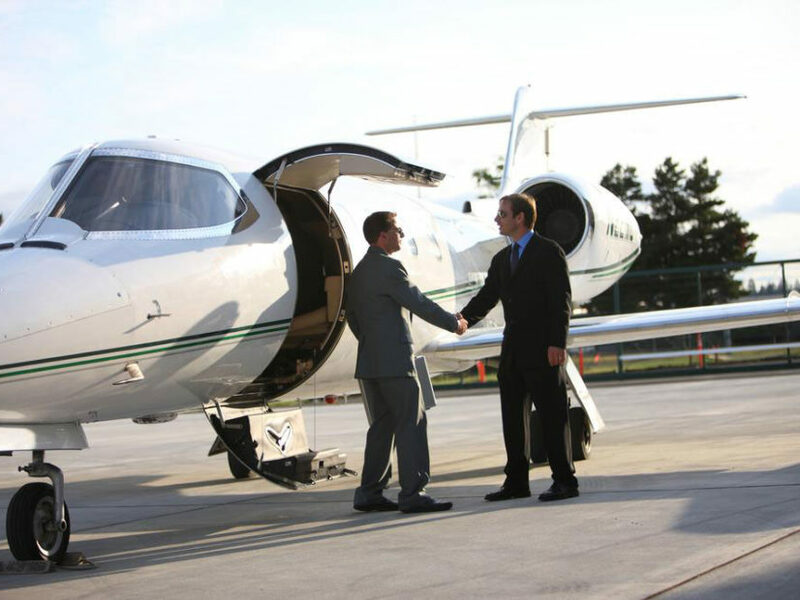 This implies that in addition to containing the hourly rates of the airplane, it also consists of the different expenses of the in-flight service, i.e., the crew’s fees, handling fees, airport landing fees, catering and transportation charges, ground, overnight and daily minimum fees, and, finally, the taxes. The charges levied by different airlines for these services vary, so the jet charter prices are subject to change as well. The price of your chartered jet can change according to Mother Nature’s wishes. For instance, if you are traveling during the winter, the airplane might require de-icing before departure, and you will have to bear that cost. However, regular fliers usually lock in the airplane at the initial cost by using their membership cards. The factors mentioned above are the ones that affect jet charter prices the most. Make sure that you keep them in mind before your next charter booking.